Dogs look at their family as their pack and would never abandon them. People need to look at dogs as members of the family and not as disposable objects when life changes. A loving 3-year-old German Shepherd was d.u.m.p.e.d by his family because they found out they were having a baby. The young dog named Rocco was hunched over and shaking like a leaf in the back of a kennel at Dallas Animal Services. His family abandoned him there and he did not know why. His sad eyes looked up asking ‘why am I here?’ to anyone who walked by. A shelter can be very stressful with all the unfamiliar smells, noises, and people. Rocco was underweight, weighing only 60 pounds. He should weigh between 85 and 90 pounds. Pillaipakkam took Rocco home to relax and come out of his shell. At first, Rocco was very timid and confused as to where he was. 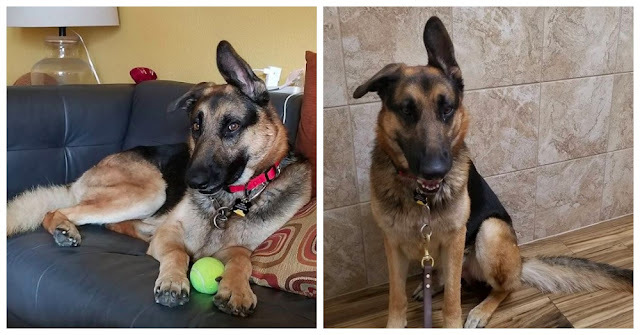 Slowly, with the help of another German Shepherd in the home, Rocco started to play with toys. “This is a giant step for Rocco who had completely shut down,” postedPillaipakkam to an Instagram page made just for Rocco. 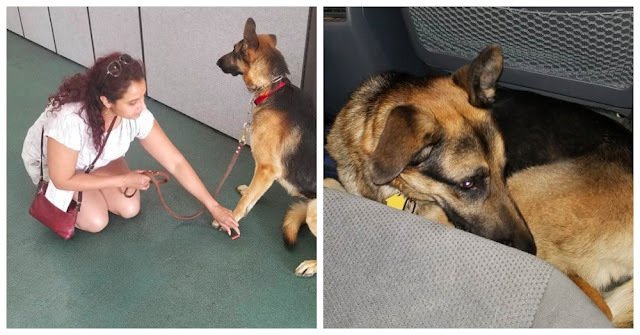 Once Rocco realized he was safe, he became his foster mom’s shadow. When he wasn’t following her around, he would play with squeaky toys or balls. 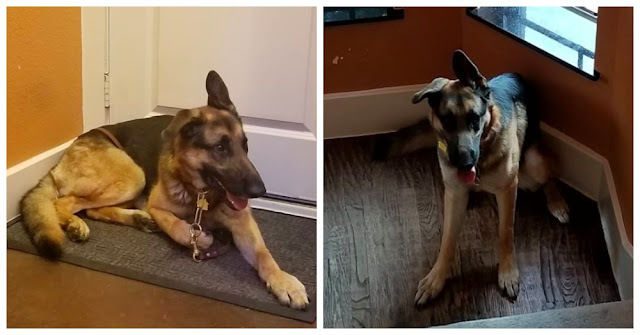 The video of Rocco when he first came into the shelter went viral with many people submitting applications to adopt him. The rescue will sort through all the applications and find the perfect forever home for Rocco. The sweet boy deserves a family that will never abandon him. His foster mom hopes that his story and Instagram page will inspire other people to adopt large breed dogs.